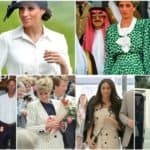 The weekend is over and the royal wedding is far behind us, but we are still somehow excited about it and talk about it and all the little details that made it so interesting. Every girl dreams about finding her Prince Charming and it seems that Meghan just found hers. Fairy tales do come true and Prince Harry and Meghan Markle just proved that. That age is just a number and that it doesn’t matter when it comes to love proves the fact that she is three years older than him. 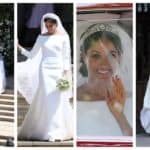 She turned from a Hollywood star into a British royalty two years after meeting Prince Harry and this is a wonderful modern day fairy tale story. 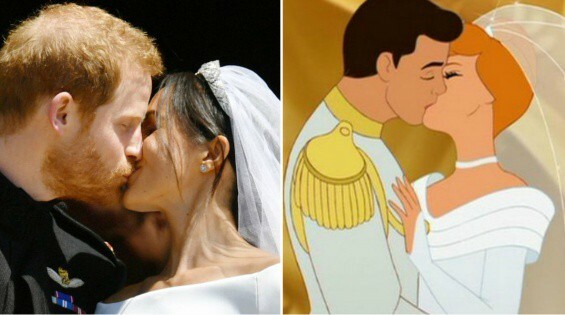 The internet is going wild about finding similarities between Disney Princess and the royal wedding, and we have to admit that they have a huge resemblance. 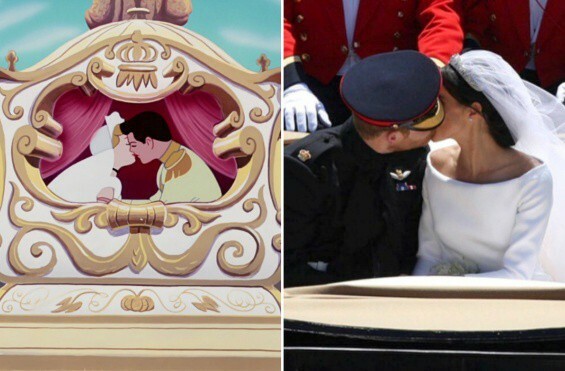 Here you will spot the Crazy Resemblance Between The Royal Wedding And Disney Princess Fairy Tale that will make you believe that happily ever after does exist. 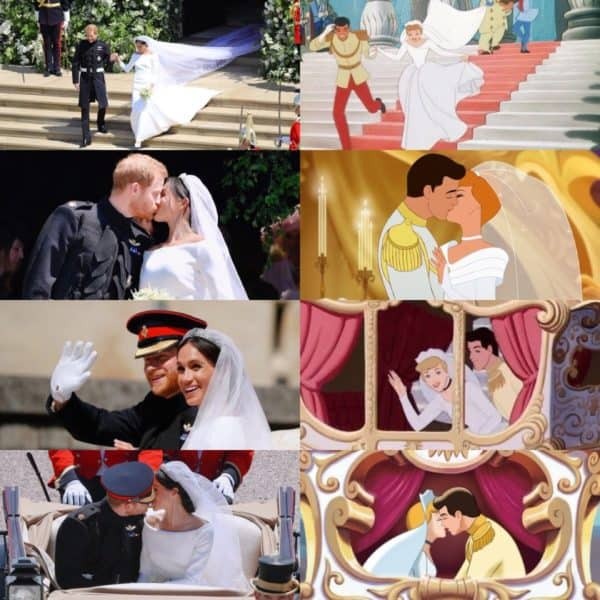 Meghan’s off-shoulder dress is so much similar with Cinderella’s dress and the photographs from the royal wedding day are pretty much the same as the Disney moments. You will notice photographs of the newly weds kissing, walking on the steps of St. George’s Chapel and during their carriage procession that will make you feel the Cinderella’s vibes. The similarities are quite striking and they will melt your heart. 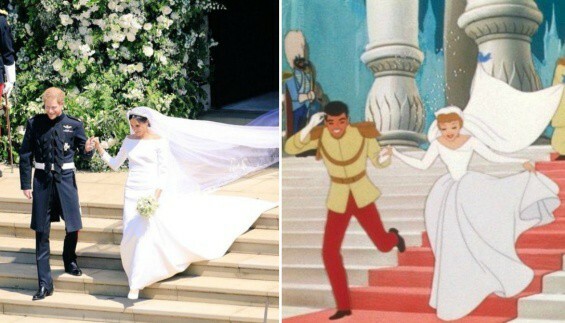 Maybe Meghan found inspiration about her wedding dress right from this fairy tale, who knows! You probably enjoyed watching this real-life fairy tale as much as we did and now scroll down and enjoy the magic of the photographs below for a while!